From the Eisner-nominated writer Derek McCulloch (STAGGER LEE, Gone to Amerikay) and artist Anthony Peruzzo comes DISPLACED PERSONS, a riveting tale of murder, love, crime, friendship, betrayal, and just the slightest bit of time travel. McCulloch was inspired to write DISPLACED PERSONS because of a love of puzzle stories, detective stories, time travel stories, and a fascination with how history imprints itself on the smaller story of a family's history. “It's like reading rings in a tree... you can see the growth of the tree, ring by ring, and the distance between the rings tells you when the droughts hit, or the long winters, or the hurricanes,” explained McCulloch. “You can look at a family tree the same way, and when you see that someone was born, say, in Poland in 1920, and their child was born in Baltimore in 1947, there's a story between those two rings. Displaced Persons takes those rings, and takes all the different kinds of stories I love, and mixes them up and twists them into a shape you won't really understand until the last page. It's a book I hope people will read twice... I guarantee you'll see things the second time you didn't know were there the first time." 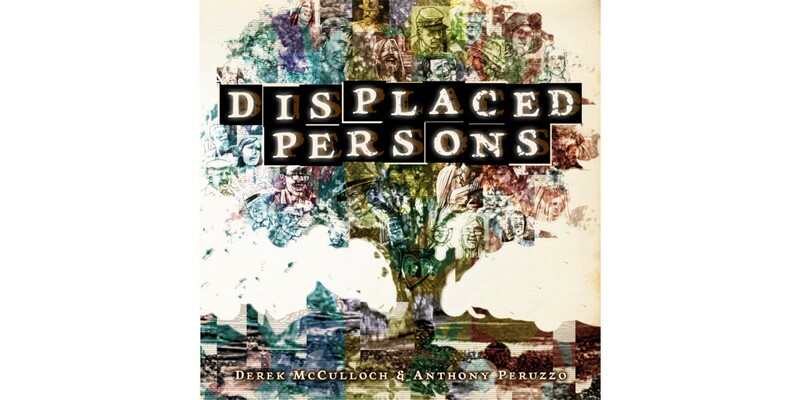 DISPLACED PERSONS OGN is in an original graphic novel format and arrives in stores on 8/6 for $17.99. It is available to pre-order with Diamond Code JUN140499.